The fire door is made and the frame is fitted into the front which is cut out to accommodate.The glass insert has an air wash to reduce sooting. the ash pit door -inside the original outer door- has an air spinner and inside a riddling grate and ash can.a tool is provided. The cooker is made to order and should it be required a small boiler could be added at a later stage -approx output 20,000 btus or 4 rads maximum. 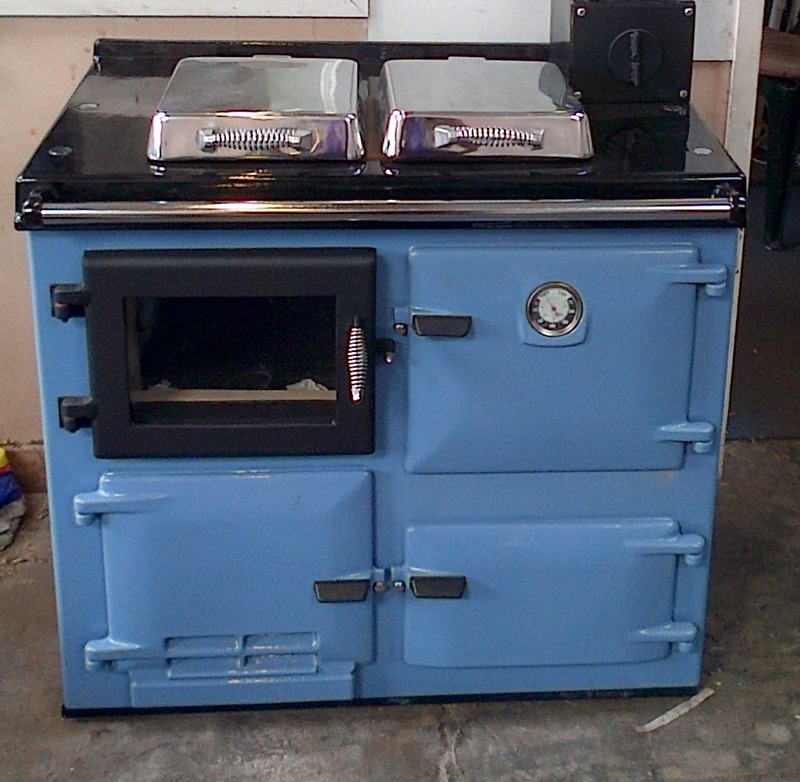 The original colour enamel on the front is retained ,usually only having very minor marks as gas cookers don’t get banged about. less common colours are Teal,Cream,British Racing Green,Gloss Black. Delivery subject to time of the year but often 2-3 weeks in summer, 4-6 weeks in winter.